The speed with which new car sales have accelerated this year has surprised even optimists. Pent-up demand, a stabilising economy and low interest rates are all helping. 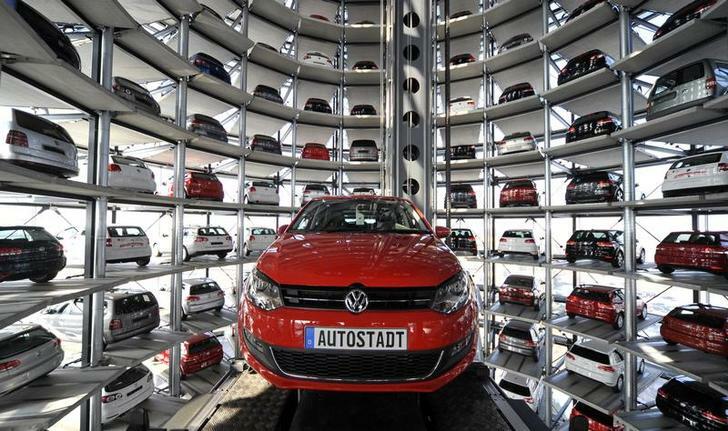 Shares in VW, Fiat, Renault and others have already rallied. But sentiment was so glum there’s further to go. A Volkswagen Golf VI car is pictured at the 'CarTowers' in the theme park Autostadt next to the Volkswagen plant in Wolfsburg. Western European auto sales rose 10.7 percent in March as a regional recovery broadened to France, consulting firm LMC Automotive said on April 8. LMC’s figures, which aggregate published data and projections for smaller markets, showed a 9.3 percent upturn in France, outpacing Germany’s 9 percent advance. Spain, Italy and Portugal, where demand collapsed during the financial crisis, continued to record double-digit sales growth. The European Automobile Manufacturers’ Association, which is known by its French acronym ACEA, will publish official figures on April 16.